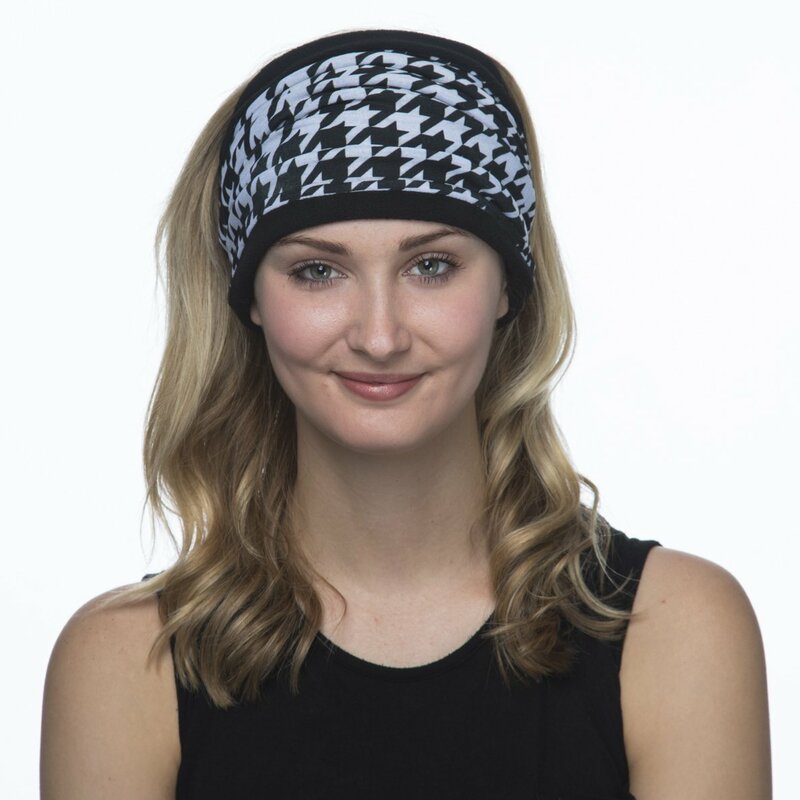 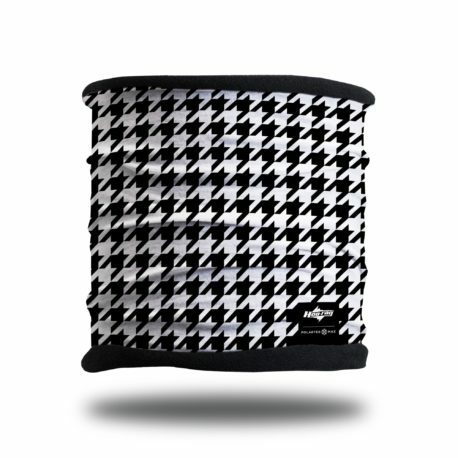 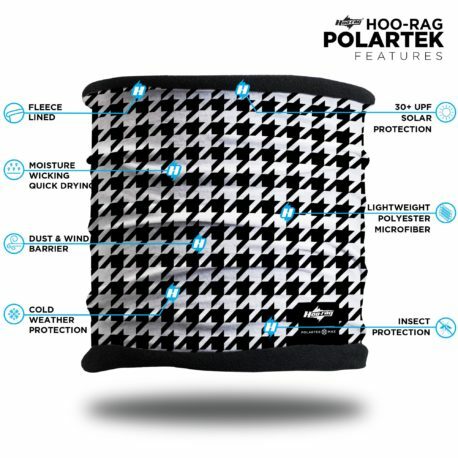 Classy and sophisticated is the look you’ll pull off all winter long with our stylish Houndstooth Polartek Max headband bandana. 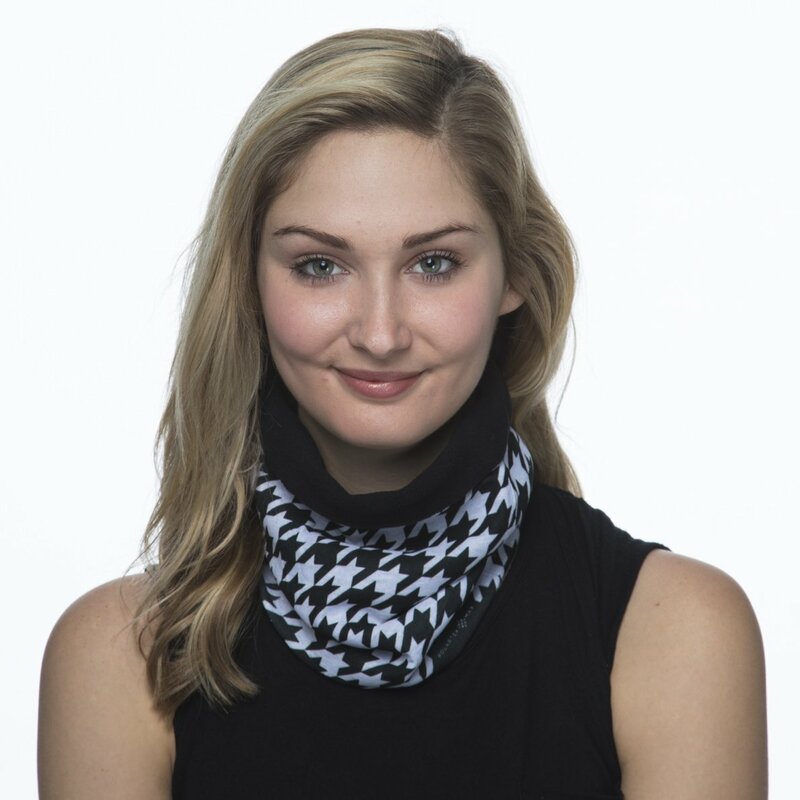 This black and white winter scarf is a classic look which can be dressed up or down for any occasion where warmth is required. 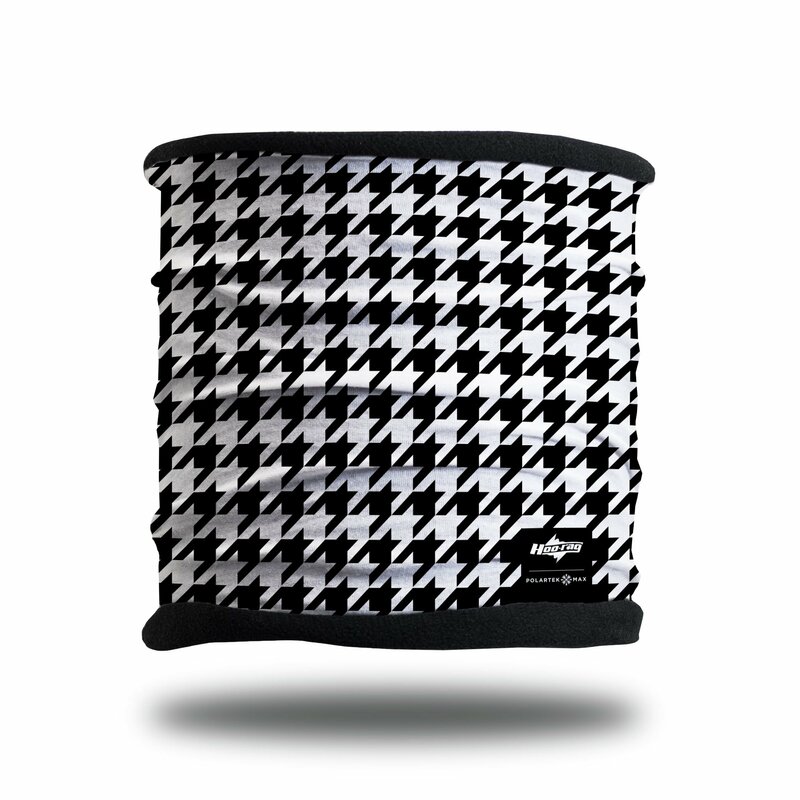 Got this to match a certain brand of black+white streetwear. The fit is snug without being a death-grip, and while I was worried half-length would be too short, it fits just right into a jacket collar and across the face without excess material, which winds up being a boon due to the thickness of the fleece.